From apple pies, tarts, and treats, to rice pudding with almonds and cherry sauce, you will not tire of all the delicious treats available in Scandinavia. It is possible to find the same desserts in different Nordic Countries under different names, so here is a little taste. DENMARK has plenty of treats, but rødgrød med fløde might just be one of the best. Rødgrød is a compote consisting of mostly red or black fruits, with flavourings such as vanilla. Cream or milk is added as shown in the picture below. Have fun when you try to pronounce this absolutely divine Danish delight, “rødgrød med fløde,” but don’t bite your tongue. When in NORWAY, try Tilslørte Bondepiker. This is a very traditional Norwegian dessert. The translation is something like “covered farm girls” and has led to many questions from foreigners and Norwegians throughout the years. 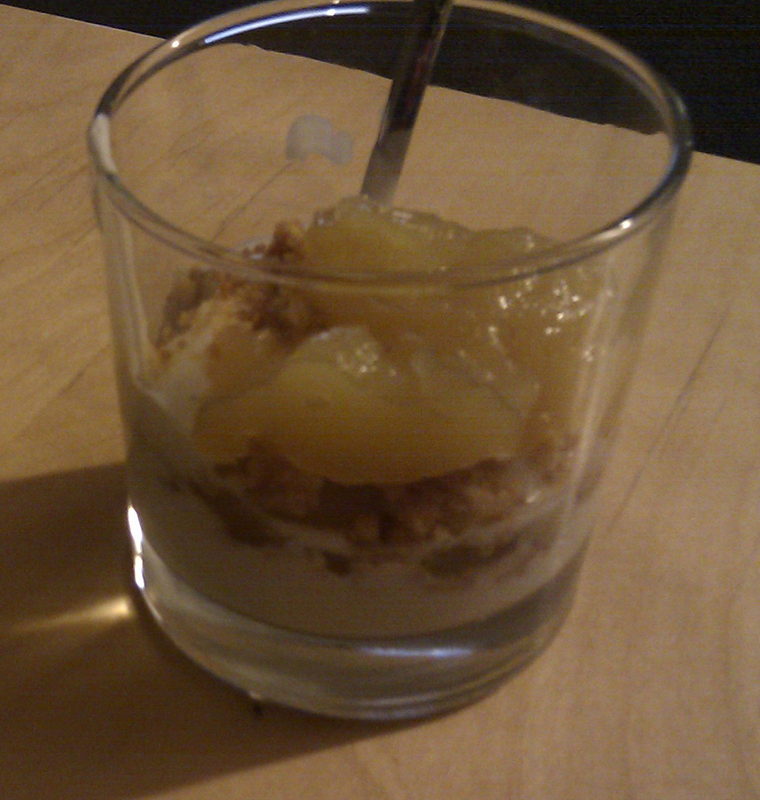 The dessert consists of mashed apples, cream, and crumble – the perfect mix of sweet and sour! 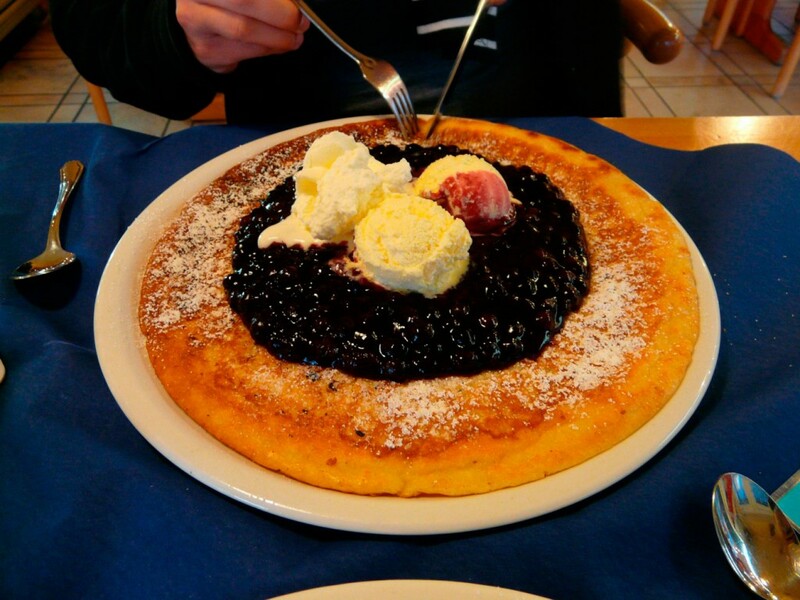 If you ask any Norwegian about this dessert you will surely impress him or her. We promise you, it’s delicious. The lovely country of FINLAND serves up many delights such as the pannukakku, an oven-made pancake that is soft on the inside and golden on the outside. The pannukakku can be described as a pancake or a custard, depending on the thickness and consistency. It is a versatile dish, which can be eaten as a pancake with syrup, fruits, jams and whipped cream, or as a custard with sausages or whatever you like! 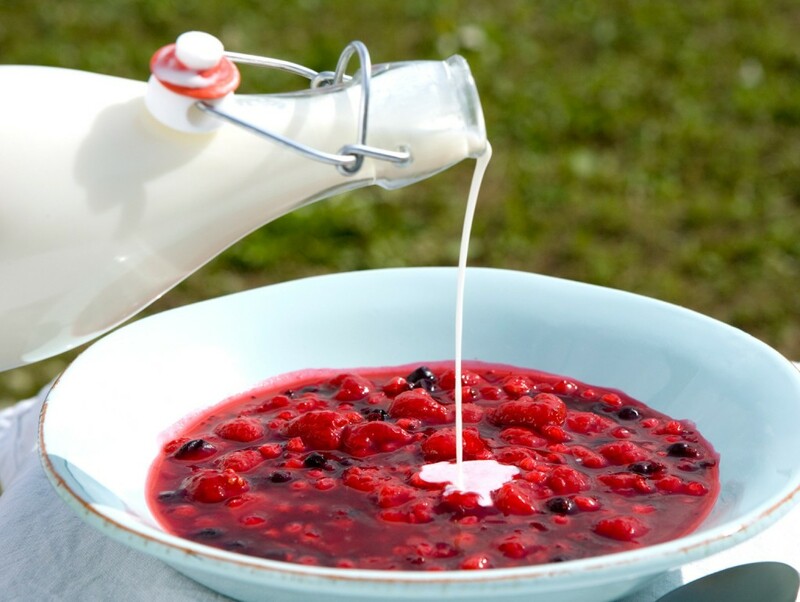 Try something else that is a typical dessert in Finland – berry soup! How about cloudberry soup and blueberry pie with vanilla sauce? One of ICELAND’s most popular dessert is prune torte, otherwise known as vinaterta. 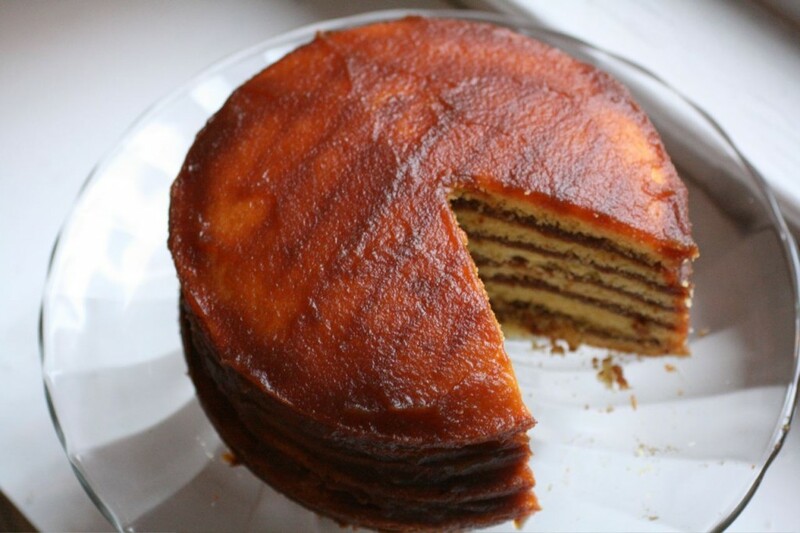 With thin layers of cake and lots of prune filling, you will ask for more. This dessert is usually served in squares and is sometimes decorated with icing. Some believe Prune torte originated in Vienna. If you are not a fan of prunes, this might just be the dessert to change your mind. One of the most famous treats in Sweden is “Fika”. It’s not a dish or even something you eat. It’s a cultural phenomenon. Fika is when you meet over a cup (or several) cups of coffee. The coffee should be brewed Swedish style, which is strong or, in the northern regions, boiled (a culture of its own). With the coffee, you enjoy an assortment of cookies, pastries or cake, for instance, the famous “Dammsugare” (vacuum cleaner in Swedish). This is how to meet the Swedes! Read more about the prize winning cafés in Sweden here.